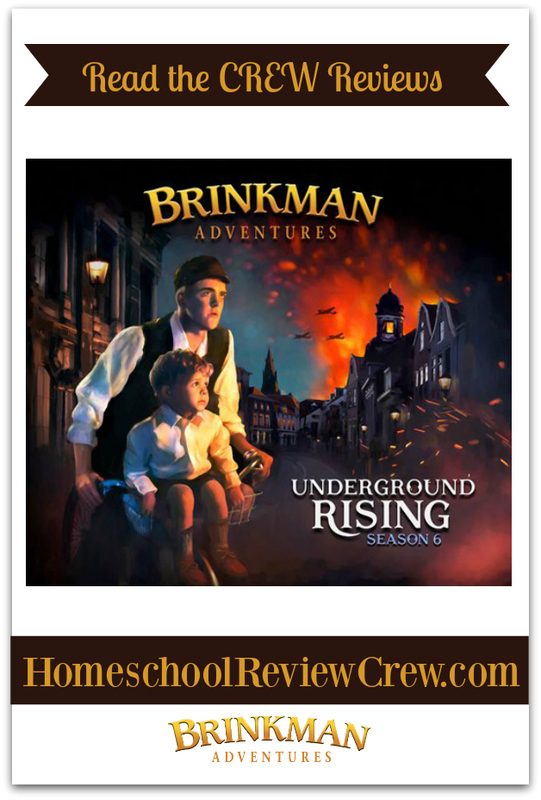 We recently finished listening to the audio production of Brinkman Adventures. Being able to review audio dramas of missionary stories with a historical backdrop is entertaining for our family. We listened to the digital version of Season 6: Underground Rising. If you are a family that enjoys audio books, Brinkman Adventures does you one better. They are actual dramas that allow you and your children to use your imagination to visualize the story. But they are even more than that. They are radio shows that tell “true, modern missionary stories” through a fictional family. Each broadcast is no longer than 26 minutes. Season 6 contained six broadcasts – two of which were divided into two episodes. Other seasons contain 12 broadcasts. The second, Twice Born Fly, was a bit confusing to the kids as they were listening. But, at the end of the broadcast, we got the opportunity to talk about it. We recognized that Mr. Brinkman was recounting a dream that he had and that even his children were questioning the ‘story’ as he was telling it. We talked about some of the crazy dreams we have had and still remember (though some of us might have been embellishing). And it gave us an opportunity to discuss our thoughts about salvation…and prison. The third, I Wonder Why?, did not include the Brinkman family or relatives of the Brinkmans that I could tell. However, it was a great story of a missionary family that had questions about their life’s purpose. It is definitely a story meant to help build the listener’s faith. The fourth and final broadcast, Free Burma Rangers, was like listening to a soap opera. As a child, neither soap operas or novelas were viewed in our household. They were not permitted. My Panamanian stepfather believed they did not depict many wholesome values. I managed to see several anyway at the homes of my aunties. And boy, were they juicy. Imagine my delight to be able to listen to a drama with a wholesome love story that was just as exciting as a soap opera or novela. My girls were getting into it and shouting at the computer with me. With each broadcast, we became invested in the lives and outcomes of the characters. Being a theater brat since I was in headstart, I was impressed with the dramatization. 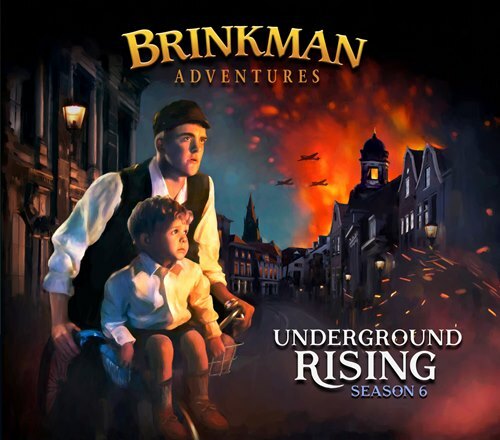 I enjoyed listening to the audio dramas of the Brinkman Adventures Season 6: Underground Rising. And even though my youngest had to excuse herself from some of the more jarring scenes, the girls enjoyed them as well. Something that I found very nice was the samples on the Listening Page. 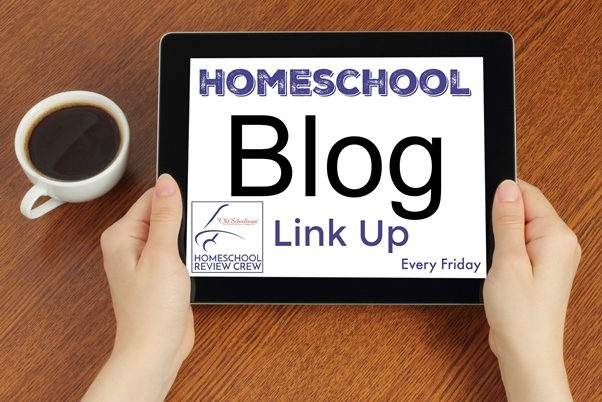 You have the opportunity to listen to a short clip of each 26-minute broadcast. 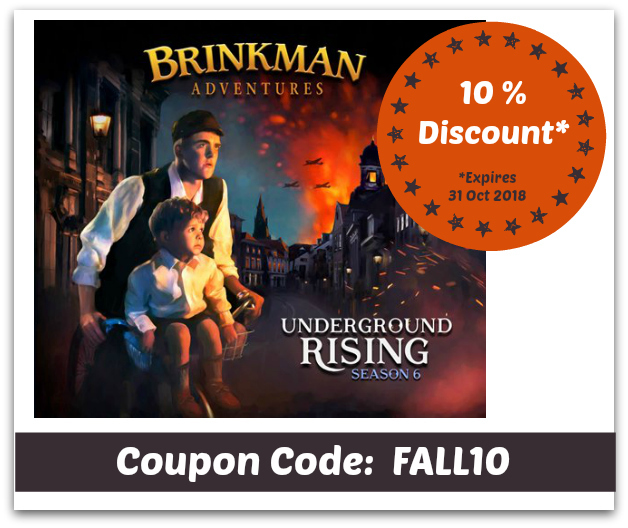 Once you listen to the samples of each broadcast and decide the episodes that you would like to enjoy, Brinkman Adventures is offering a 10% discount that’s good until October 31, 2018. 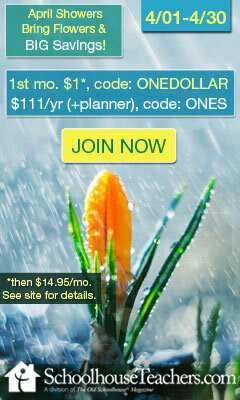 Click on the banner below and enter the coupon code FALL10 once you’ve made your decision.